North Little Rock Law Firm, David R. Cannon | Battered Person Syndrome and Battered Child Syndrome "
Battered person syndrome is a derivative of battered woman syndrome. Battered person syndrome involves battery of a male spouse or someone that resides in the household. Battered person syndrome may be used as a justification defense in a homicide prosecution. Typically, the defendant would assert self-defense as a defense and then justify the premise of the self-defense based upon the battered person syndrome. The premise behind battered person syndrome is that this syndrome is gender neutral. Either a woman or man may assert the battered person syndrome as a potential defense if they were battered on more than two occasions and resided in the household of the alleged abuser. Battered person syndrome evidence may be material and relevant in a homicide case. The test used to determine whether the evidence is reasonable is a subjective reasonability test. Basically this asks the question of whether the defendant’s actions were reasonable under the circumstances and evidence. However, not all jurisdictions accept the battered person syndrome as a rationale to support a self-defense killing. Battered persons may have a similar state of mind that a battered woman suffers from at the time that they commit a homicide. Battered person syndrome has become a generally accepted syndrome within the medical community. If the defendant asserts the battered person syndrome as a defense the defendant may obtain the services of an expert to testify on his behalf. A child who has been the victim of severe abuse on more than two occasions by a parent may assert the battered child syndrome as a rationale for supporting his claim of self-defense in a homicide trial. This defense is not recognized in a lot of jurisdictions however it seems to be becoming more widely accepted. As with the battered person syndrome, a child defendant may obtain an expert to testify on his behalf during the trial. Medical experts have accepted the theory behind the battered child syndrome. When the defendant either raises the battered person syndrome or the battered child syndrome as an explanation to their claim of self-defense in a homicide trial the defendant may be required to undergo psychological testing and an evaluation. The defendant may also be required to undergo medical testing as well. During the defendant’s trial, witnesses may also be called to support the defendant’s claim of battery. Pictures and other non-testimonial evidence, such as police reports, may be admitted if they are deemed relevant to support the defendant’s claim of abuse. Copyright 2011 LexisNexis, a division of Reed Elsevier Inc. 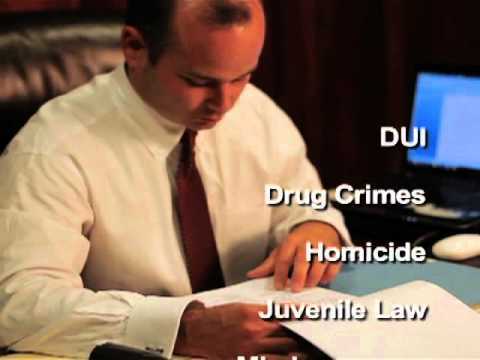 The Cannon Law Firm - Arkansas Criminal Defense Attorneys David believes that his role as a lawyer is to vigorously defend your interests against the prosecution's interest in securing a conviction. The presumption of innocence requires that the prosecution produce evidence of guilt beyond a reasonable doubt. David R. Cannon is located in North Little Rock, AR and serves clients in and around North Little Rock, Little Rock, Little Rock Air Force Base, College Station, Sweet Home, Wrightsville, Sherwood, Scott, Maumelle and Pulaski County.